A Peoples Democratic Party, PDP stalwart, Chief David Seikiri Ugedi has assured that people of Egbema in Warri North Local Government Area will deliver their votes for Dr. Ifeanyi Okowa’s re-election as governor, Chief Thomas Ereyitomi for Warri Federal Constituency Seat as well as other PDP candidates in the February 16 and March 2 elections. Our Senior Correspondent reports that Chief Ugedi gave the assurance in Warri during an exclusive chat shortly after an enlarged meeting of PDP stakeholders and members of Chief Thomas Ereyitomi Campaign Organization. 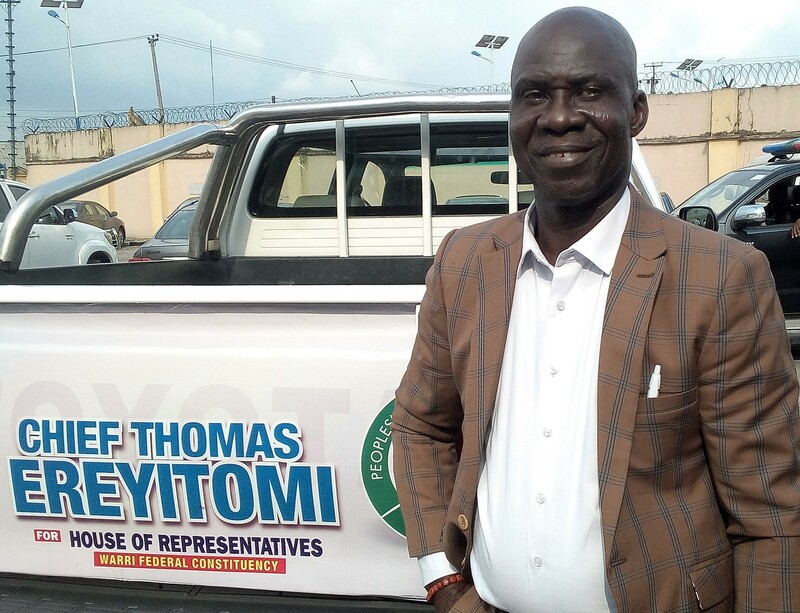 According to him, Chief Ereyitomi has touched the lives of people of Warri Federal Constituency and beyond, hence the call for his election, adding, “he is a detribalized person, who will make the greatest difference if elected to represent Warri Federal Constituency at the National Assembly”. The Egbema born politician stressed that in order to support the Okowa/Ereyitomi election project, he has printed thousands of fliers, T-shirts, Bill Boards, Publications and jingles. While commending Chief Ereyitomi for his “enlightened, well-articulated campaign points”, he appealed to people of Warri Federal Constituency to vote PDP candidates and cautioned PDP members against anti-party activity.